The February Update arrives into Forza Motorsport 7 on Tuesday, February 5th with a host of improvements and new content experiences. From two beautiful new supercar masterpieces from Ferrari to improved load times, new painting space options and an update to the force-feedback wheel system, there’s a lot to look forward to in this month’s release. 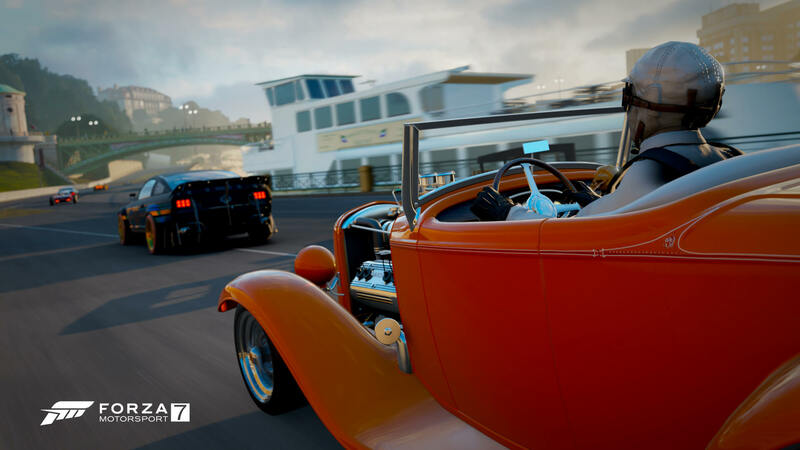 Ferrari is the star manufacturer of February in Forza Motorsport 7 with not just one, but two rides from the Italian automobile legend coming to the game for free. Up first is the Spotlight Car of the month, the 2017 Ferrari GTC4Lusso. 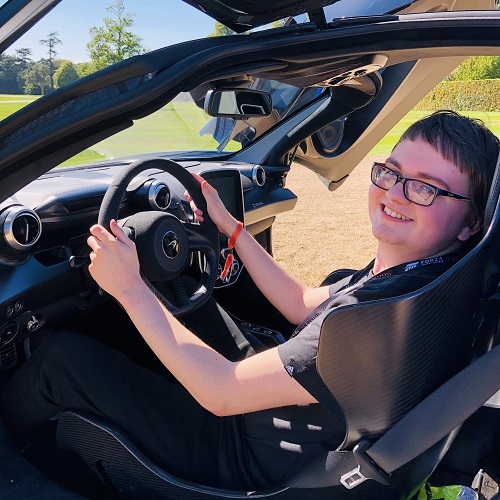 This one was added to Forza Horizon 4 at the beginning of January for Car Pass holders, but now everyone will get a chance to drive it on the track of their choice at no additional cost whatsoever. Its four-wheel-drive system with two gearboxes, one on the back of the engine and one on the front, combine to deliver 680-hp of sheer performance. The second automobile from the Italian legend is one of the most extreme cars in Ferrari’s history. There’s no doubt the 2012 Ferrari 599XX Evoluzione is a staggering looking ride. From those drastic aerodynamic upgrades to its incredible 730-horsepower output, the 599XX is a must have for any car enthusiast. 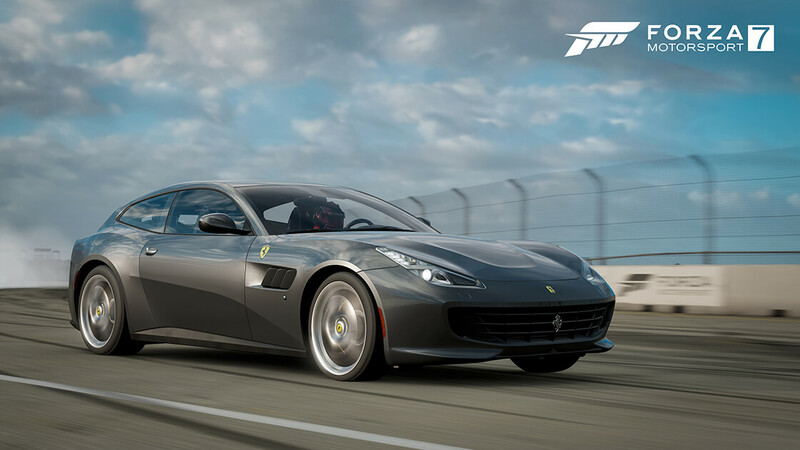 Initially, this exotic automobile had been planned to be available as an exclusive car for participating in this month’s dedicated Spotlight Event for the 2017 Ferrari GTC4Lusso, but based on comments from Turn 10’s Chris Esaki on the February edition of the Forza Monthly broadcast show, the team has decided to reward the car to all players instead without any strings attached – so lookout for it in your garage this week. February is undoubtedly all about that Ferrari fun in Forza Motorsport 7, but there’s plenty more to look forward to in this update. 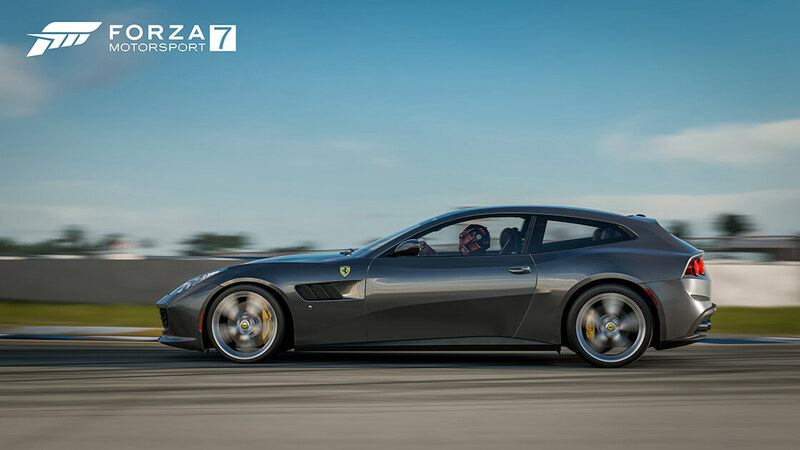 Below, you can find out all about the February Update for Forza Motorsport 7, beginning with the official description of the 2017 Ferrari GTC4Lusso – the free Spotlight Car of the month, followed by a breakdown of all the new features and improvements included in this release. Proving that a Ferrari can be practical, the GTC4Lusso does something few other Ferraris can: carry a family of four. Don’t let that practicality fool you, though, as this four-seater is everything you would expect from the Prancing Pony and more. Up front, you have a 680 horsepower V-12 that, while more subtle than its supercar brethren, is nothing less than breathtaking. From a throaty idle to an 8,000-rpm bellow, there are gobs of torquey power to pull you through the curves or launch you into orbit with a top speed of over 200 mph. There’s also rear wheel steering taken from the F12tdf that will help the car to rotate into corners with poise. In Italian, lusso means “luxury” but there’s more than just creature comforts here. The GTC4 is a thrill ride for the whole family, no matter if the destination is the local grocer or the switchbacks of the nearest mountain pass. Painters rejoice! The February Update for Forza Motorsport 7 features some new tools that will make it easier to bring you favourite creations to life. Firstly, the Paint Space itself now features four user-selectable lighting scenarios – Ambient Light, Ambient Dark, Sunny and Sunset. These additions allow livery creators to view their designs in a variety of different lighting environments. This is perfect for figuring out which areas of a livery could be problematic when on the track under Forza Motorsport 7’s variety of different lighting configurations. Turn 10 has also added the full functionality of its Forzavista car exploration feature to the Paint Space. This allows livery creators to open the doors and hoods of the car they’re painting to see how well their design is flowing. They can even sit inside the car and quickly spin around it, allowing them to fully obverse how their livery is coming along without exiting the editor. In addition, the team has also added Photo Mode to the Paint Space. This can be accessed within the Forzavista experience, allowing both designers and photographers to snap images of their car with any of the new lighting scenarios available to choose from in Forza Motorsport 7. Photographers will also be happy to hear that the main garage home-space now features a Free Camera system when in Photo Mode – also accessible once again by entering Forzavista. This allows for unobstructed movement around the garage when trying to take pictures, giving photographers significantly more freedom when shooting images around the home-space – which the developer says has also received some small, but noticeable lighting improvements. This new feature can also be used to explore all around the garage and check out previously inaccessible areas. Who knows the kinds of Easter eggs Turn 10 has stuffed into it for the community to find! 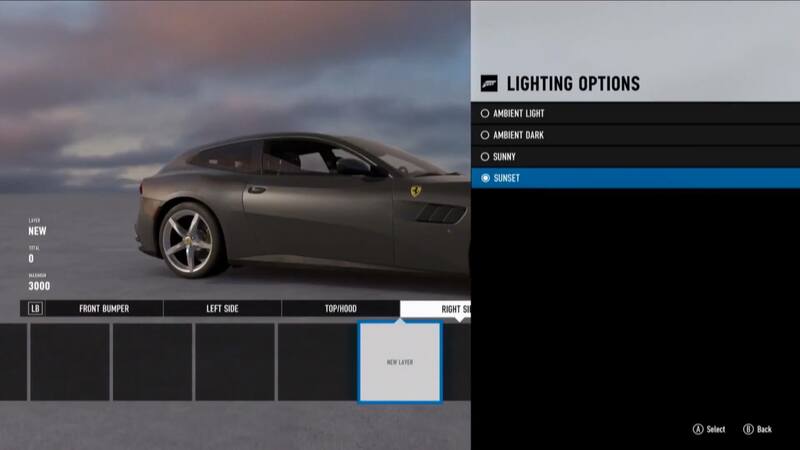 It’s not just painters and Ferrari lovers that are getting all the attention in February, as the latest update for Forza Motorsport 7 introduces a small, but notable update for force-feedback wheel users. This improvement addresses issues that were causing latency between the physics frame and force-feedback frame, which manifested as oscillation. Wheel users should now feel less oscillation and hitching in force-feedback. The issue was caused by how the game sent forces to the wheel, which saw the team investigate and squash a bug in its force-feedback code. Looking ahead, the March Update for Forza Motorsport 7 will include further improvements to the force-feedback system. To alleviate an issue where the forces delivered to the wheel were based on the weight of the vehicle, Turn 10 will introduce per car settings for all vehicles in the game. This will not be set per car or per tune, but for each vehicle in your garage – allowing for different variables across multiple cars. This will be saved to each specific car and will include fine-tuning options for lock-to-lock and soft-lock issues, as well as an overall feedback scaler. Look out for this feature next month. Turn 10 has also made backend updates to Forza Motorsport 7 that will improve loading times for multiplayer races. The developer claims these will save players anywhere from 10-30 seconds during a load into a 24-car race. The improvements made will streamline how cars load into the multiplayer environment, which results in a smoother, faster experience for everyone involved. February has a range of new events to discover in Forza Motorsport 7. These include a line-up of Forzathon challenges that feature several rewards over the next four weeks, including cars like the 2010 Maserati Gran Turismo S Forza Edition, the 1987 Ferrari F40, the 1946 Ford Super Deluxe Woody Wagon Forza Edition and more. There will even be the chance to win almost 1 million in-game credits across all the different Forzathon events available in February. Rivals also has a selection of new challenges to check out, including the 1997 Maserati Ghibli Cup on Dubai – exclusive to Forza Motorsport 7’s VIP members, as well as this month’s Spotlight Challenge featuring the 2017 Ferrari GTC4Lusso. 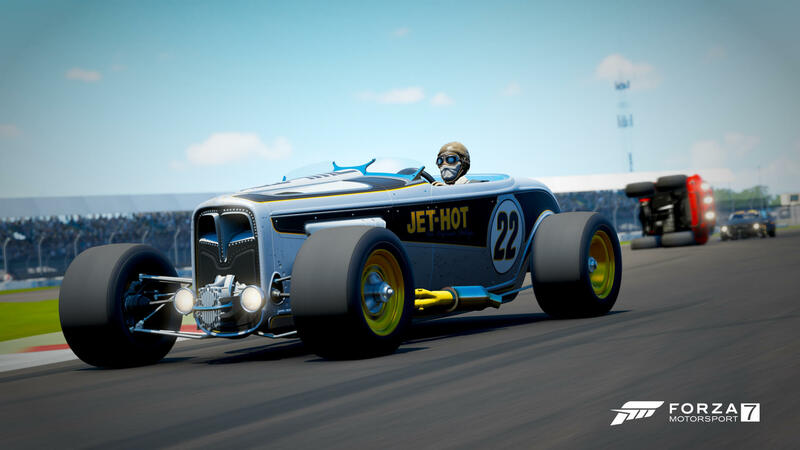 Meanwhile, Leagues currently has its latest season underway called ‘Keeping Pace,’ featuring divisions like Formula 90s, Forza Touring Cars, and more, alongside a selection of unmissable rewards, including the 1968 Dodge Dart HEMI Super Stock Forza Edition, among others. Also, be on the lookout for this month’s livery contest, which tasks players to create a design themed around Forza Monthly using the newly-improved livery editor in Forza Motorsport 7! The winner will receive 3 million in-game credits, as well as a giftable car of their choice. Their work will be showcased on the March edition of Forza Monthly and all official Forza social channels. 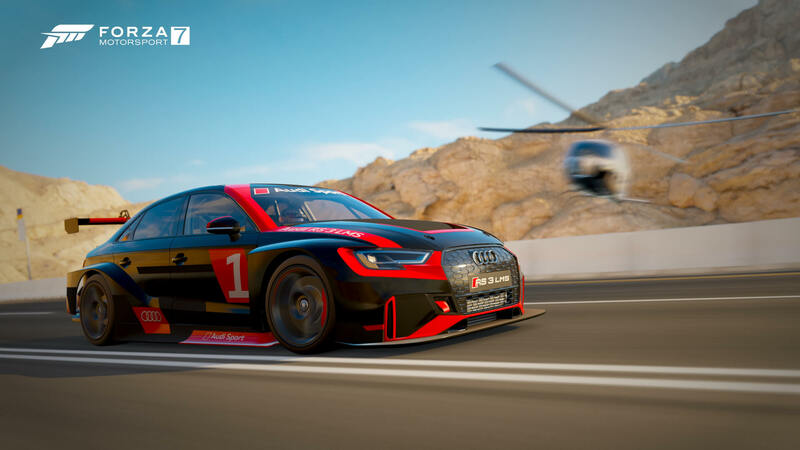 Furthermore, the winning car and livery combo will be gifted to all Forza Motorsport 7 players. The Forza Motorsport 7 February Update will be available for Xbox One and Windows 10 PC from 6pm GMT (10am Pacific, 1pm EST) on Tuesday, February 5th. 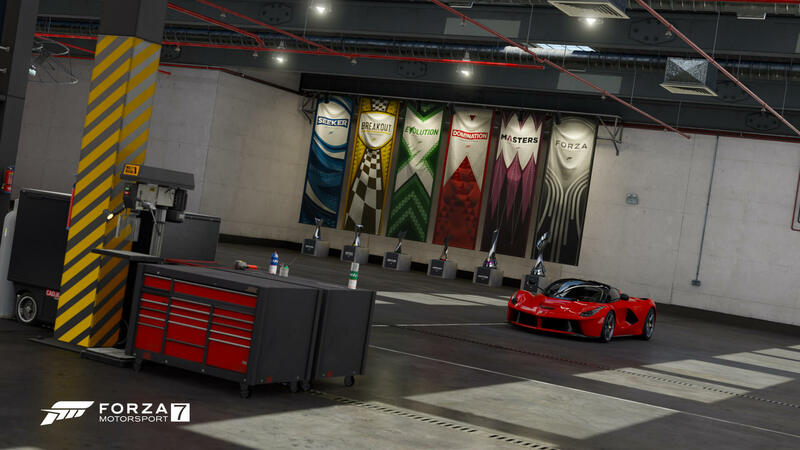 Whether you’re a Ferrari lover or someone who paints cars and likes to takes photos of them, this update offers a little something for everyone to enjoy, regardless of your play-style.